Spring can be a wonderful time of year…unless you’re one of the 50 million seasonal allergy sufferers in the U.S. For those people, spring can be one of the most miserable times of the year. Luckily, spring HVAC maintenance can drastically reduce the amount of allergens throughout the home and help to breathe easy. They are carried into your home through the air, settle on the surfaces of your home, and make you and your family uncomfortable. Airborne particles like pet dander, dust mites, mold, and cockroach droppings make the air in your home harder to breathe and cause coughing and sneezing, red eyes, itchy throats, and runny noses. Purchase high quality furnace filters. If you’ve read our blog before, you know that high-quality furnace filters are your first defense against poor air quality in your home. Look for filters with at least a MERV 8 rating to trap more microscopic particles, reducing indoor allergens. Check filters monthly, and replace them at least every three months. A dirty furnace filter won’t trap debris, and could make your system less efficient. Get rid of debris around the outdoor unit…and the indoor one. The outdoor AC unit pulls air from outside through your HVAC system, and that air eventually circulates throughout your home. Check for dust and debris, and clear it away from the unit as often as possible to keep it from being pulled into your home. Don’t forget about the indoor unit, either. Just like the outdoor unit, if dust and debris are around the indoor unit, it will eventually end up circulating throughout your home. Sweep, vacuum, and dust the area around the indoor unit often to reduce excess allergens in your system. Mold thrives in humid, moist environments. Take a look at the ducts, condensate drip pan and drain, evaporator coils, and the air handler every few weeks to check for signs of mold. Mold spores don’t just cause allergies. If left unchecked, certain molds can cause sickness and even death. If you find mold, you can remove small amounts on your own, or call a professional for bigger problems. Dust registers and return vents first, then everything else. Most people dust their homes at least once a week, but many forget about the registers and return vents. These vents circulate all the air from the HVAC system, so if they are dusty, your home will be dusty. Tackle these first in every room, using a damp or treated rag when dusting anywhere in your home to keep from kicking up dust mites and other dust particles that may cause allergy and breathing issues. Spring — or allergy season, as a lot of people call it — is a great time to schedule an HVAC maintenance appointment. Not only does regular preventative maintenance keep your system healthy, service by an HVAC professional will help reduce indoor allergens and ensure your system is dust and blockage free. If you need to find a qualified, licensed HVAC professional, use the Find A Contractor link on our site and we’ll help connect you with the best HVAC professionals in your area. 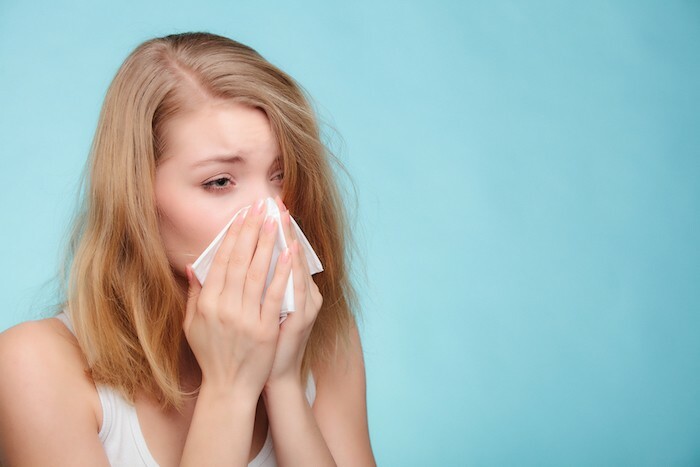 Are seasonal allergies an issue in your home? How do you reduce allergens in your home? Share your thoughts in the comments below!